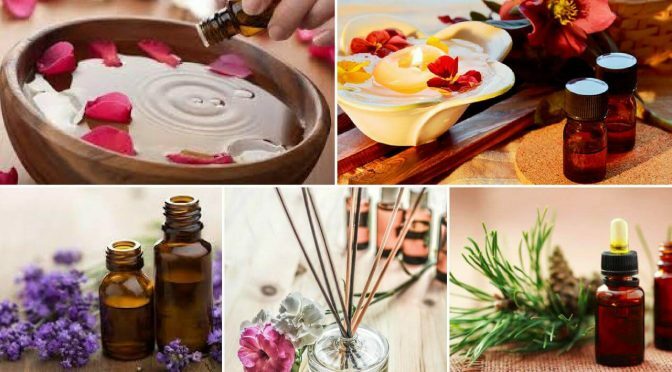 You have most likely heard of aromatherapy, might wonder what is an aromatherapy diffuser exactly and why are its effects toted to be so amazing? 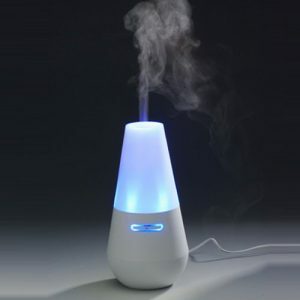 Aromatherapy diffuser is simply a device for diffusing the essential oils into your surroundings. There are several types available, each with their own benefits, with or without electricity. Aroma fragrances have a wonderful energizing, calming, soothing or relaxing effect on us. They can help us to fall sleep, or wake us up! The amazing health benefits from the essential oils help balance each of our doshas. 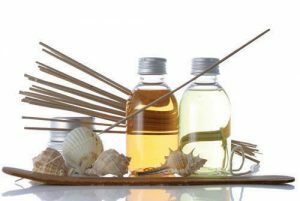 The article discusses the benefits and the different aromatherapy methods. Aromatherapy diffuser is simply a method of spreading the aroma and the beneficial molecules from essential oils over a large area, such as a room or a house. There are several ways of diffusing the essential oils. Some of the natural, non electrical ways include blending them with warm water, heating them up, diluting them into other oils or letting something, such as a dried grass absorb the oil. Although the natural diffusers are popular, they are not always so effective, especially in larger rooms. The second method is the use of electrical device, which diffuses the essential oil with the help of water vapor. This is commonly used diffusing method by the massage therapists. A bowl of warm water is placed by the massage table, or under the massage table with a whole for the face if the customer is placed on their stomach. 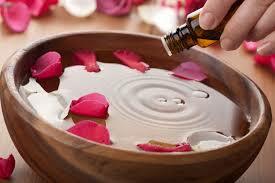 Few drops of essential oils are places in hot water and the vapor will diffuse the aroma into the near vicinity. Cons: Only works until the water cools down. Very limited range. These are very popular for home use. The small dish above the candle is filled with water and few drops of the essential oil are poured in the water. When the water gets heated up by the candle, the aroma is diffused into the room. Pros: Cheap and beautiful, doubles as an ornate project. Cons: Only works until the candle is burned out or the small water dish run dry. Requires supervision because of the open flame. Works for one room. In this method the oil is usually not blended with water, but rather placed in a bottle or an other container and a small whole is made into the top. Dried grass is then places into the container and soaked grass diffuses the aroma into the room. Pros: Cheap and easy to use. Cons: Since pure essential oils are used, the aroma can be very over powering. Works for one room. The oils are used up rather quickly since the container is always open. 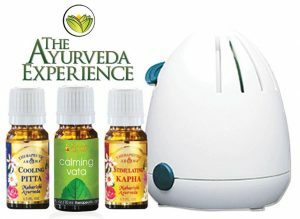 This type of diffuser is connected directly into the socket and contains an essential oil container, or a pad which is infused with essential oils. It diffuses the aroma into the room and can contain a timer. Pros: Easy to use, can be left on continuously without supervision. Can be timed. Cons: Replacement containers or pads expensive and only available with certain oils. Only works for small room. This type of infuser works with electricity, has a large water container where you mix the essential oils. Pros: These devices are highly efficient and can deliver aroma therapy for a whole room. You can time this device and leave it on continuously without supervision for fresh, scented air. You can use any brand essential oils in these devices. They increase the humidity of the the air by releasing water vapor and helping the molecules from the essential oils to spread easier. Cons: Noisy, only works until the water tank is empty. Expensive to purchase, pay off in the long run. Not easy to transport, might break. Water vapor is not always desirable in humid conditions and it can also spread air-born viruses and bacteria. This type of diffuser contains pads, to witch the essential oil is placed. The aroma is then spread into the room with a constant air flow. Pros: Quiet. Works 16h at the time. Usese very little of the essential oil, only 3-6 drops in a day. Has a very large capacity and can fill a 500-square-foot room with a wonder aroma blend of choice. Durable plastic, light weight and portable. Cons: Expensive to purchase, pays off in long term. Ugly design. For short time only, the best aroma diffuser powerful enough for large rooms, yoga studios or ayurvedic practises is on offer for $147.00 instead of $198.60. 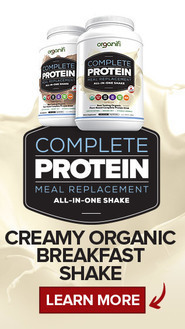 Take advantage of this great product offer now by ordering online. Fast world wide delivery. This diffuser uses the Bernoullis Principle, which uses no water or heat, hence maintaining the therapeutic properties of the used essential oils. It has a wonderful swirling design and it has an inbuilt rainbow colored LED light as well for additional atmosphere. It’s perfect for smaller place and elegant enough to stand on an office desk or at the reception area. Pros: Amazing design and customization options are available. Completely quiet and very efficient. Large capacity for essential oil. Safety feature auto shut-off after 120 minutes of use. Cons: Expensive to purchase, pays off in long term. Very fragile. Only works efficiently in a smaller room. I purchased 3 of the quality aromatherapy pad diffuser 2 years ago, one for my atelier, one for my house and one for my yoga and ayurveda practice and haven’t regretted it one single day despite its ugly looks. It’s extremely effective, helping me to keep my house, which includes pets, children, my art atelier, yoga and ayurveda practice fragrant and disease free. I also have 2 of the nebulizing diffusers, one of them custom made! It looks absolutely wonderful and fills my office with wonderful ambiance. It has also been a favorite of mine to give as a gift for my family and friends the recent years. It also gives me a simple but effective way of influencing everyone’s moods by varying the essential oils and the intensity of the aromas. I also use it in my yoga and my art studio for enhancing the performance and creativity. My favorite scents for creativity are sandalwood, cedar wood, frankincense. For yoga I prefer lavender, chamomile and bergamot. When the kids are sick, I use peppermint, eucalyptus and rosemary! 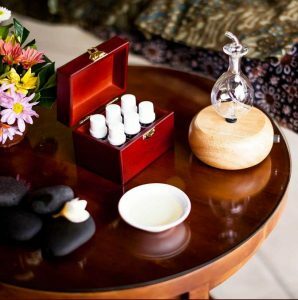 I would highly recommend it to anyone who wants to enjoy the wonderful benefits of aromatherapy with minimal hassle for the maximum advantages. This post has made me decide to get a diffuser instead of using aromatherapy candles. My twins are getting to age where they start walking and fire is no longer safe. Thank you for the reminder. Hi Willie, diffuser is much more safe with kids than candles! I always used incense during meditation until recently when some papers near caught fire. Nothing happened as I noticed the smell, but I got too scared to use them again. I miss the effect though and think I need to get myself an aromatherapy diffuser. The nebulizing diffuser looks really gorgeous, it will make a nice addition to my meditation area. Hi Lorelei, I used incense all the time when doing yoga and meditating. I used sometimes wonder how safe it is and therefore keep aware of it, which actually disturbed the meditation. I now use an aromatherapy diffuser and feel much safer during the deepest meditations and relaxation sessions! I really love the nebulizing diffuser. I read about the principle and it seems such as effective way to use the essential oils without diluting them. I took a look at the whole collection and fell in love with the raindrop one. Hi Mahona, you are absolutely right, the nebilizing diffuser is the most effective way to spread the essential oils into the air. The oils maintain their therapeutic properties and the oil is used sparingly. These diffusers are absolutely gorgeous, especially the hand carved ones! I like my essential oil diffuser and use it often, and I love it when I have a massage and the therapist does the same. Great believer in all you say and great site also. Hi Helen, nice for you to drop by for an other visit. We have similar beliefs in healing, I also enjoy your website very much. Wow, I didn’t realize there was so many aromatherapy diffusers. The water vapour diffusers are very popular here in Malaysia, but I’ve never really fancies having one of these. It just look a bit over the top. The diffuser with pads appeals more to me. I think because the room won’t be filled up with steam or moisture. Does this run on batteries or plugged into the mains? My wife is always buying the socket diffusers and we seem to spend a fortune on them every time we go shopping. Hi Craig, happy to know you found my article useful. I have the same problem, I don’t like the extra moisture, especially at winter time! I only use a water vapour diffuser when me or one of the kids are fighting some disease and then we breath in hot aromatherapy vapour with a special diffuser made for that purpose only. You need to plug it in the mains, this one doesn’t work with batteries. 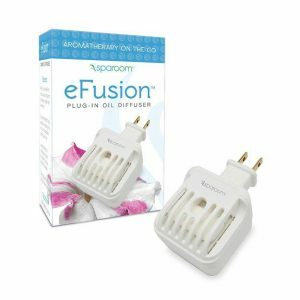 The socket diffusers are expensive, inefficient and most of them don’t use real essential oils. Awesome blog! 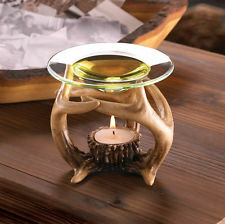 I love use just a candle burner, because it’s really pretty, but been thinking of getting one for my bookshop, because it doesn’t exactly always smell nice, especially when the weather is rain outside, it gets bad. What smells would you recommend to encourage people to relax, take their time and sit down for a cup of tea with a book in their hand? Hi Cecil, thank you for your kind words regarding my blog. You are right, candle burners are pretty and sometimes I still use them to set a certain mood. The aroma diffuser with pads is particularly good for businesses, as it is powerful enough for large spaces. I would suggest a selection consisting of lavender, Ylang Ylang, cedar wood, sandalwood and rosemary. It’s good to vary the smell a bit, so people don’t get so used to it. Nice little article about different types of aroma diffusers. I didn’t realise all those different types were actually all diffusers. I have look at that aroma diffuser you suggest and it does look pretty good. I only wonder about the mechanism, how does it actually work? It says with the pads, but how does it distribute the aroma? Hi Klaus, there are many different types, all with their typical uses! The aroma diffuser has pads to which the oil is applied. It’s efficient as you don’t dilute the essential oils and you only use few drops each time. The diffuser blows air with a steady stream, which in its turn spreads the aroma in to the room. Ƭhis is really inteгesting article, I have shared it and the generic one about aromatherapy. I think aromas are extremely important part of our lives. Many smells are associated with memories from our childhood. I will always remember how much first love smelled like and my chamomile makes me always think about my grandma, because she used chamomile skin cream. Thank you for reminding me that I need an aromatherapy diffuser in my house. Hi Nathan, happy you enjoyed my aromatherapy articles. Fragrances activate the area in our brains that is associated with memories. They influence our lives much more than we realise. It is easy to chance the moods of everyone in the house with essential oils! I have used candle burners for essential oils for years until I finally caught my dresser on fire a couple of years ago. Luckily I was able to out it out quickly. It scared me enough that I have stopped using them, but I really have missed the benefits. This is the first I’ve heard about the Electric Aroma Diffuser that uses pads. This has gotten me excited again. Do you know how often the pads need to be replaced? Are they a one use option or can they be used multiple times? Hi Patrick, yes, unfortunately open flame is a fire hazard. I still use incense during meditation, but I never leave them unattended. I use a cheap electrical diffuser in different areas of my home. I don’t know if it is the same thing or not but they are the Glade plugins. It’s actually oil that they are burning and not other deals. I would assume that what I have is a cheaper version of the electrical diffuser. My plugins only last for a couple weeks, though. Do you know how long the electric aroma diffuser with water vapor will last with one application or use? It seems a little expensive but if it is a long time before the oil has to be refilled I may get one for my wife. She loves things that smell good! Hi David, who doesn’t love good smell in their home! Glade has nothing to do with essential oils. It is mineral oil blended with perfumes, as close to fake as it gets. In most countries you are not allowed to call it an essential oil diffuser! The one I recommend, doesn’t use water vapour, but pads. The diffuser is very efficient and only needs 3-6 drops of pure essential oil every 16h. Very cost friendly, as this one comes with 3 bottles of essential oils, which are going to last you for months. This is very interesting post. I bought an diffuser which you can connect to the electrical socket, but it only has 4 different aromas I can use and I have a feeling that those are not really pure undiluted essential oils. 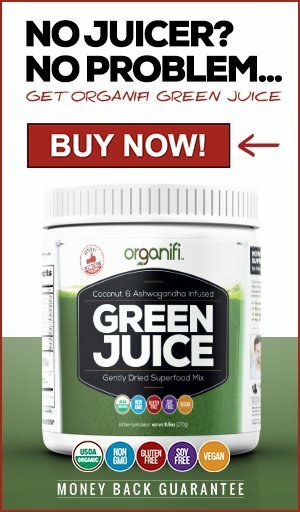 I took your test and found out I was vata, so should I only use the vata oil, or do the other oils have benefits for me as well? Hi Prat! I am happy you enjoyed my article. Most of the ones that you can buy cheaply do not offer pure essential oils. Instead they are cheap blends of some base, such as almond oil and in the worse case with few drops of perfume, or in the best case essential oil. If you want to experience the full benefits of essential oils, you should use pure, organic cold pressed oils. You should mainly use the calming vata oil, but the other oils are also beneficial. Kapha oil stimulates and pita oil cools. I have often wondered if it would pay off to buy one of the big electricial diffusers. I normally use candel burners or incense but as you state it, you cannot leave them fragrancing the air if you step out or leave the room. Additionally I’m always worries about my toddlers reaching for the candles, doesn’t matter where I place them. Fire is interesting enough for them to climb on top of the bookshelf! Hi Diana, candle diffusers might be beautiful and give a nice atmosphere, but they are potentially very dangerous due to the open flame, especially with young kids. This diffuser will be very efficient and safe with small kids!